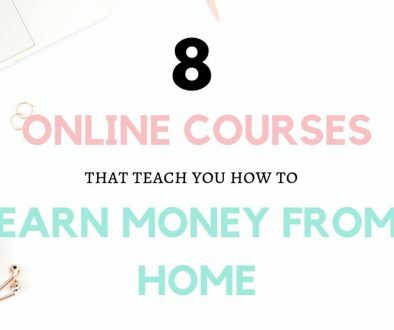 Many of us would love to work from home, but we have no idea what kind of jobs we could do or how we can get started. Choosing something you already have some skills and experience in can shorten the time it takes for you to set up a successful business. 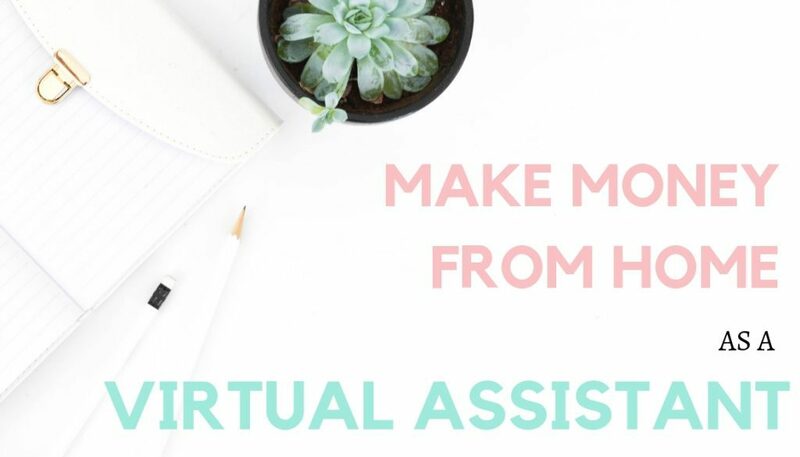 Today, I have Paula Hickey on the blog to tell us how she started her virtual assistant (VA) business. A VA works remotely to help other business owners run their businesses by assisting them with routine or more specialized tasks that the business owner doesn’t have the time or skills to do. The list of tasks VAs can do is almost endless. They can help out with email management, writing, blog management, social media, etc. 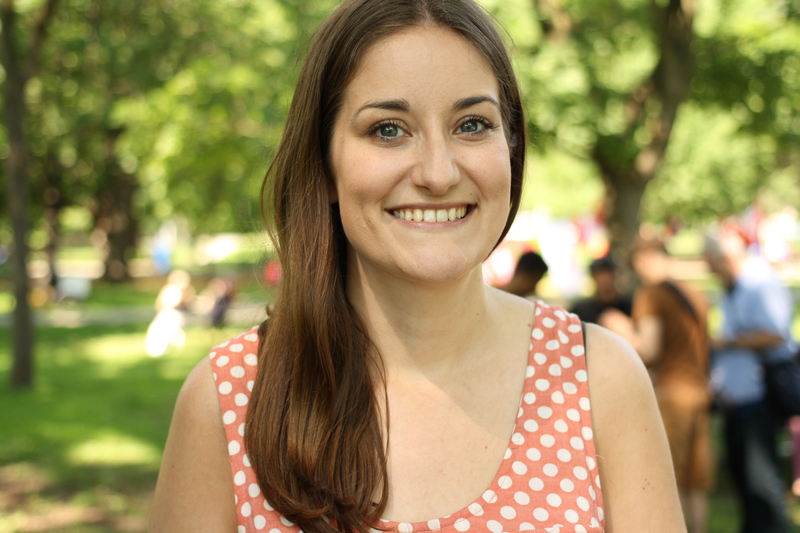 Paula chose to be a VA because she was already doing a lot of these tasks for her own blog. She wanted to spend more time with her family, and now she helps moms who want to spend more time with their families too. 1. Tell us a little bit about you and your business. What’s your work-at-home job? Hi, my name is Paula. I’m married to the love of my life, Rex. We live in Tennessee where we’re raising our two pups, Buffy and Mac. 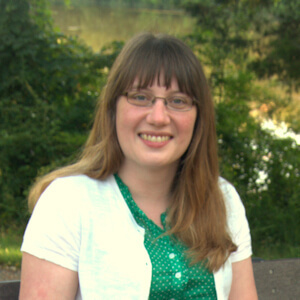 I’m a virtual assistant with a focus on social media, Pinterest, and website maintenance. 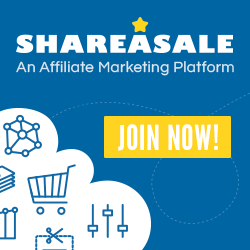 I work mostly with moms who have started their own online businesses. They are either bloggers or coaches. These are women who want to work from home so that they can spend more time with their families. And I want to help them do that! 2. Sounds awesome! Why did you decide on this line of work and how did you get started? I had been in retail for 17 years and I was increasingly dissatisfied with my job. During my six years as an assistant manager for Walmart, the schedule changed four times. I wanted to find a job that offered a more consistent schedule. When I found out about virtual assistant work, it sounded perfect! I would be in control over my schedule and be able to spend more time with my family. 3. Being able to set our own schedule is one of the main reasons many of us want to be our own boss. Did you need any training or experience for this job? Did you take any courses? One reason I researched VA work was because the description fit what I was already doing for my own blog. I have had my own blog since 2010. I also taught myself HTML and CSS years ago when I built websites for myself for fun. As for courses, I took the 30 Days or Less to Virtual Assistant Success course from Horkey Handbook. 4. Starting with skills you already have is a good idea. Talk us through a typical workday. There are two typical work days for me as I still work part-time at Walmart. On the days I work at Walmart, I get up at 3 a.m. so that I can be at Walmart by 4 a.m. I work there until 1 p.m. I come home, walk the dogs, have a snack, and check my email. By 2 p.m., I am ready to do virtual assistant work. I usually have 2–4 hours of work to do. I always try to have everything wrapped up by 6 p.m. so that I can have dinner with my husband and time with him before bed. On a full VA day, I get up around 7:30 a.m., walk the dogs, shower, and eat. I check and answer emails and I’m usually ready to start work around 9 a.m. The first task I usually tackle is checking in on the Facebook groups I help manage. I do this 2–3 times throughout the day. Then I start on client tasks. Here are the tasks on my schedule for tomorrow to give you an idea of what my days look like: Schedule Facebook and Instagram posts for Pamela, write and schedule newsletters for Teressa, schedule Instagram posts for Azeem, work on SEO project for Pattie. 5. Sounds like VA work offers plenty of variety! 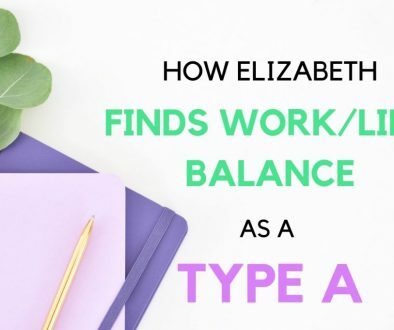 Is this your full-time job or a side hustle? How many hours a week do you work? I’m working toward making my business full time. I’ve cut down to 2–4 days a week at Walmart. Each week is different hours wise. I work around 20–30 hours depending on if I have projects for clients who aren’t regular clients. This also includes the tasks I do for my own business. Being a self-starter. If you’re not good at motivating yourself to get things done, then you will not be successful at working from home. 7. I hear ya! There’s no boss looking over your shoulder, so it’s all on you now. What one tool could you not live without? Trello! It keeps me sane! 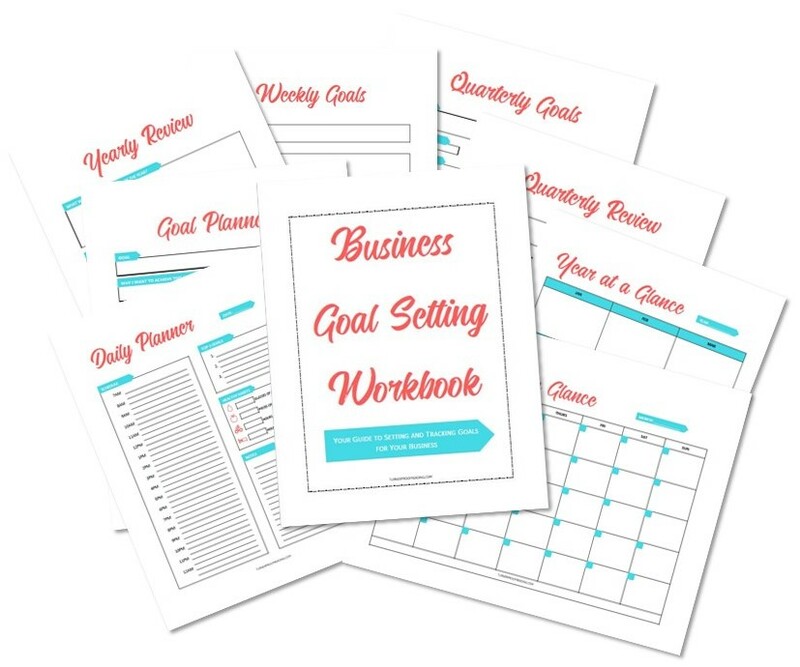 I use it to keep my business organized, and my husband and I use it for household tasks as well. This is a constant struggle. It is really hard to shut out work at times. One trick I’ve learned is to change into loungewear when my work day is done. It’s a signal to my brain that it’s time to relax. I also make sure to schedule a day off. Before I went part-time at Walmart, I was working 7 days a week. It was rough, but now I take regular days off every week. 9. Those are some really great tips! What’s your favorite part about your job? The wonderful people I get to work with. I’ve read so many horror stories from other VAs about impossible clients, but I have been so blessed with my clients. They are all great! They’re super respectful of my time and I’ve learned so much from all of them. Networking. It’s not something I’ve ever been good at, but it’s necessary to find new clients. Be prepared for it to take over your life! All you will think about is your business. All you will do is your business. But that’s what it takes at first. You need to go in knowing and accepting that. It will be hard. But if you want to succeed, you do it. Do schedule days off because if you don’t you’ll burn out. And on those days off put the phone away. Don’t check emails. Protect that time off because you need it. Paula Hickey lives in Tennessee with the love of her life, Rex. Together they’re raising two pups, Buffy and Mac. She’s a huge nerd who is addicted to Harry Potter and Lord of the Rings. Paula is a virtual assistant who works with busy Moms who are building the online businesses of their dreams. I’m so happy that Paula shared her experience as a VA with us. It sounds like being a VA offers plenty of variety and freedom to set your own schedule. I couldn’t agree with Paula more about taking time off. Working 7 days a week is a surefire way to burn out. 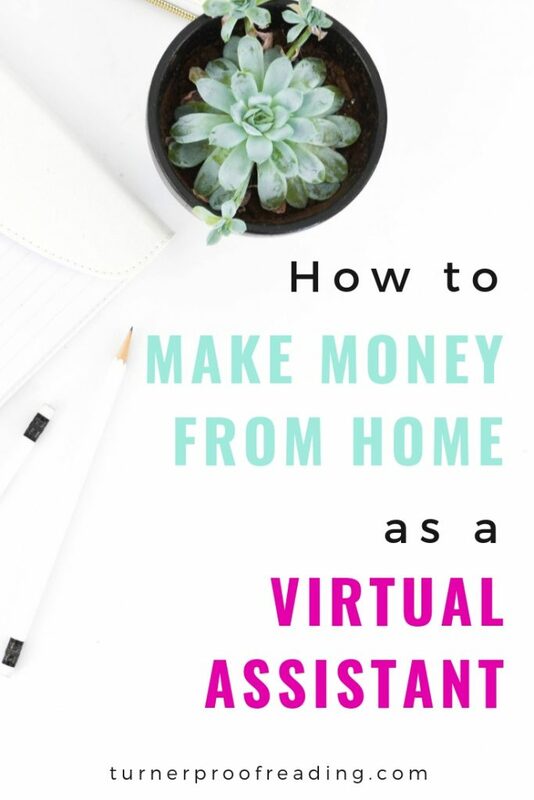 Have you considered making money from home as a virtual assistant? Let me know in the comments. 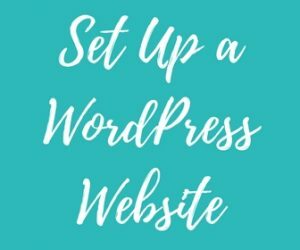 Looking for other work-at-home ideas? 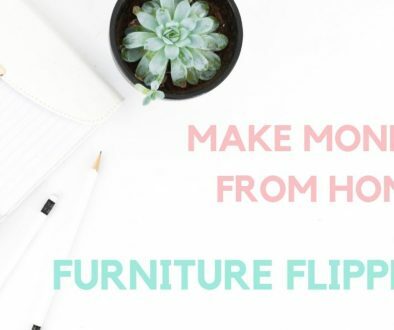 How about flipping furniture?